I tried to have a go at another editorial rough today, the article being about how small victories are more important to achieve than larger ones. With this piece I was looking at what a small victory was to me (completing a jigsaw puzzle). I hope the message is a bit clearer than in the previous two roughs. 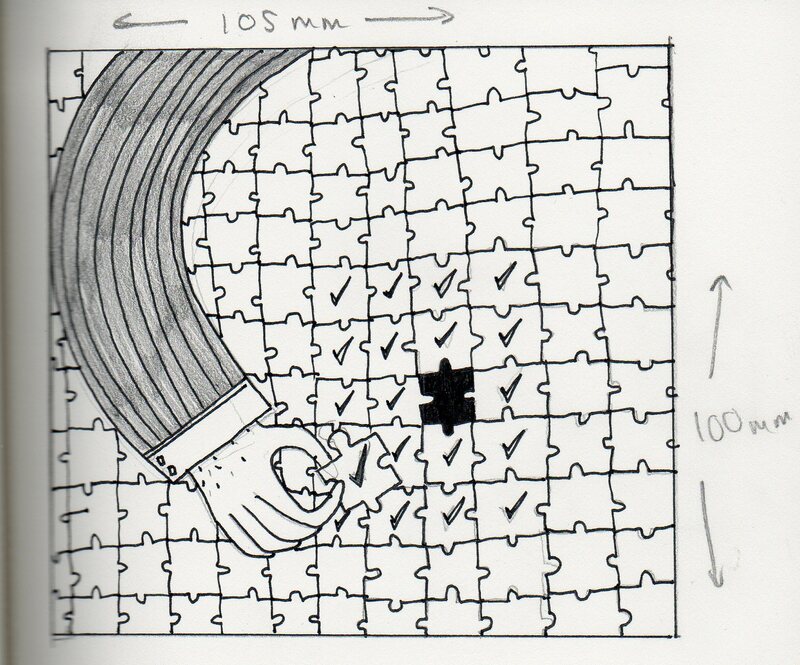 I was also wondering whether I should put something on the puzzle pieces? I've added some ticks to demonstrate that tasks have been accomplished but I'm not sure whether these add anything to the rough. 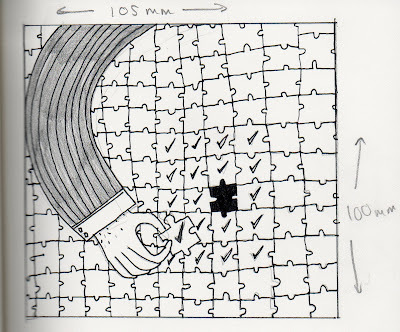 If I do include the ticks, I was also unsure as to whether they should appear on every jigsaw piece (too busy?) or just a select few? Feedback would be much appreciated! I've been getting a bit stuck on this one.